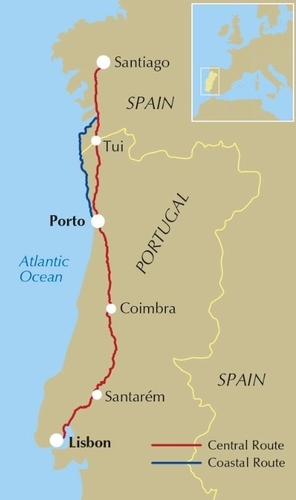 A guidebook to walking the Camino Portugués (Portuguese Way), 620km from Lisbon in Portugal to Santiago in Spain. 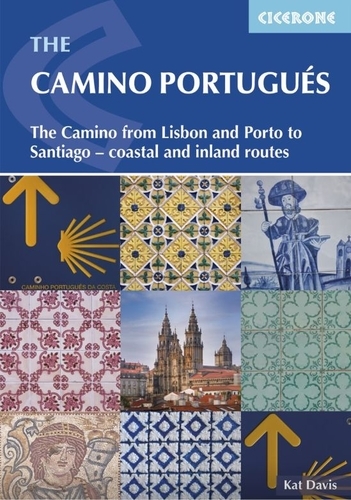 The book gives stage-by-stage directions for the Central Camino, starting from Lisbon, Porto or Tui, the Coastal Camino between Porto or Vigo, and the Spiritual Variant route from Pontevedra to Redondela. It also describes link routes that can be used to swap from one route to another. Detailed route guidance and maps are accompanied by fascinating information about historic and religious sites passed along the way. It is packed with essential information for pilgrims, with advice on getting there, when to go, where to stay and equipment. An indispensable facilities table showing the availability of accommodation, refreshments, supermarkets, ATMs and pharmacies along the route, and a handy glossary, make this the complete guide to the Camino. Since 1211 Santiago de Compostela has been a place of holy pilgrimage and the Camino Portugues is the second most travelled pilgrim route. The largely rural journey takes in four UNESCO World Heritage Areas - the Knights Templar Castle at Tomar, Portugal's oldest University at Coimbra, and the old towns of Porto and Santiago - culminating at the magnificent cathedral at Santiago de Compostela.